More limited edition collector fragrance bottles, with the usual disclaimers: in most of these cases, the juice is unchanged, just the bottle is “special” (or not, as the case may be), and some of these may not be available in the US. 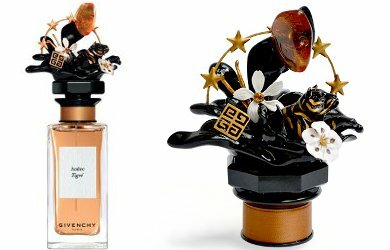 Today’s post includes special edition bottles from Givenchy, Jo Malone, Guerlain, Lancome and Clarins. 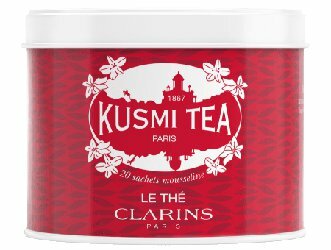 Has anyone tried the Clarins + Kusmi tea? "Specially created by Kusmi Tea to supplement the Clarins beauty experience, this fresh, soothing mix of teas boosts your well-being and serenity. Savour this detoxifying tea and its fresh, revitalising notes. Its initial invigorating top note of green tea quickly gives way to a fruity heart with delicate, refined notes of redcurrant, before ending on a subtle, luxurious hint of rose with powdery accents. The texture is light and silky for a comforting effect that promotes absolute well-being. The Kusmi Tea for Clarins includes 20 tea bags inside the emblematic Kusmi Tea box adorned with the colours of Clarins." €18. If yesterday's green tomato balm doesn't appeal, perhaps you need a few citrus hand creams for that last gasp of summer? 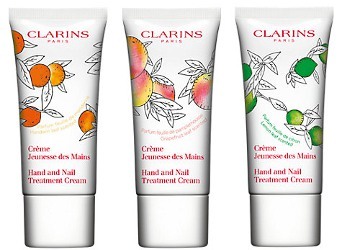 Clarins Hand & Nail Treatment Cream Trio: "Clarins iconic Hand and Nail Treatment Cream has been given a variety of citrus twists for this limited edition trio. Each cream has a new invigorating scent including mandarin leaf, lime leaf and grapefruit leaf. These three limited edition scented hand creams nourish and protect your hands from the harsh elements. Containing shea butter to strengthen nails and moisturise cuticles and skin." Three 30 ml creams for £25 at John Lewis. More limited edition collector fragrance bottles, with the usual disclaimers: in most of these cases, the juice is unchanged, just the bottle is “special” (or not, as the case may be), and some of these may not be available in the US. 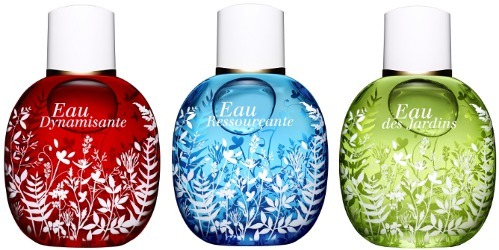 Today’s post includes limited edition bottles from Clarins, Frédéric Malle, Yves Saint Laurent and Ormonde Jayne; plus a new concentration of Lancôme La Nuit Trésor.